The New PLS-SEM Book on Advanced Issues - pls-sems Webseite! 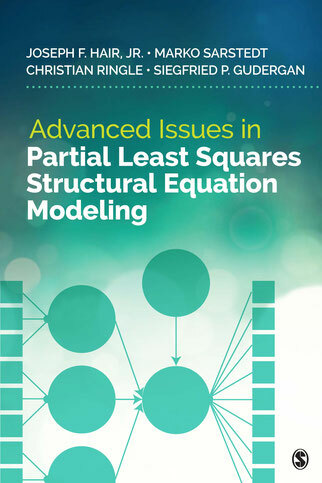 We’re happy to announce the release of the book Advanced Issues in Partial Least Squares Structural Equation Modeling. Written by Joe F. Hair (University of South Alabama), Marko Sarstedt (Otto-von-Guericke-University Magdeburg), Christian M. Ringle (TU Hamburg-Harburg) and Siegfried P. Gudergan (University of Newcastle), easy-to-understand, practical guide covers advanced content on PLS-SEM to help students and researchers apply techniques to research problems and accurately interpret results. The book provides a brief overview of basic concepts before moving to the more advanced material. Offering extensive examples on SmartPLS 3 software (www.smartpls.com) and accompanied by free downloadable data sets, the book emphasizes that any advanced PLS-SEM approach should be carefully applied to ensure that it fits the appropriate research context and the data characteristics that underpin the research. Please visit the book's website at Sage for further information, chapter previews, and order options.